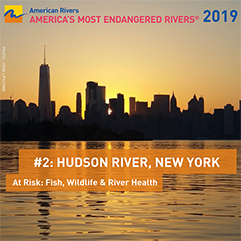 It’s been more than a year since Riverkeeper, Scenic Hudson, and our partners submitted comments on the Environmental Protection Agency’s Proposed Second Five Year Review of the Hudson River PCBs Superfund Site, urging the agency to find that the cleanup is not protective of human health and the environment. 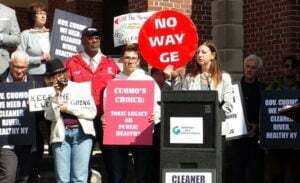 We weren’t alone, either: thousands of people spoke out on behalf of the river, demanding that GE be held accountable for cleaning up the rest of its mess. Faced with this public outcry, EPA announced that it would delay finalizing the Five Year Review until after it collaborated with the NYS Department of Environmental Conservation to reach a conclusion based on the most recent science. We appreciate that the collaboration is taking place, but it needs to result in meaningful action in the near future–the River and the millions of people who live near it have been waiting long enough. An expert scientific analysis commissioned by Scenic Hudson and Riverkeeper found that the data used to support EPA’s determination that the cleanup was on track is too uncertain and unreliable to reach that conclusion. All three Hudson River Natural Resource Trustees tasked with overseeing the river’s restoration have expressed serious concerns about the cleanup. A recent poll commissioned by Scenic Hudson in the 19th Congressional District found that its residents are deeply invested in a continued PCB cleanup. In his 2018 State of the State address, Governor Andrew Cuomo announced that New York State would take steps to sue EPA should the agency determine that the cleanup is complete. EPA Region 2 Administrator Pete Lopez has expressed his commitment to enhanced coordination between EPA and DEC, and to conducting additional studies of the Lower Hudson River. There’s still a long road ahead, but these are encouraging signs. Even more encouraging is the continued engagement from members of the public, elected officials, and other stakeholders in fighting for a cleanup that protects human health and the environment for generations to come. 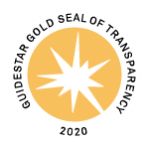 For more information, check out our last update on where things stand with the Five Year Review, the Certificate of Completion, and the Natural Resource Damage Assessment. Erin joined Riverkeeper as a staff attorney in 2016 after five years of representing non-profit organizations and community associations as an attorney with Environmental Law Clinic at the University of Maryland Francis King Carey School of Law. Erin’s work with the Environmental Law Clinic focused primarily on Clean Water Act enforcement and compliance in the Chesapeake Bay region.